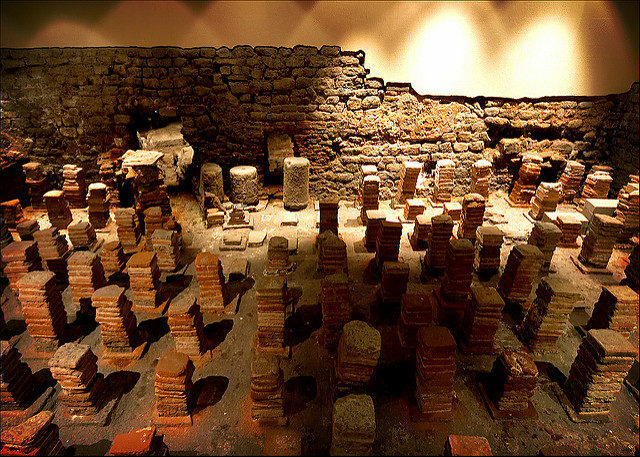 The closest thing to central heating today was the hypocaust system, a heating system used during the Roman Empire which distributed the heat from an underground fire throughout a space beneath the floor. 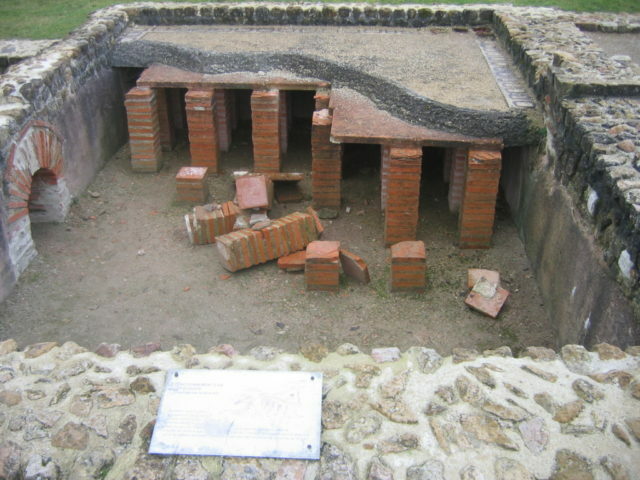 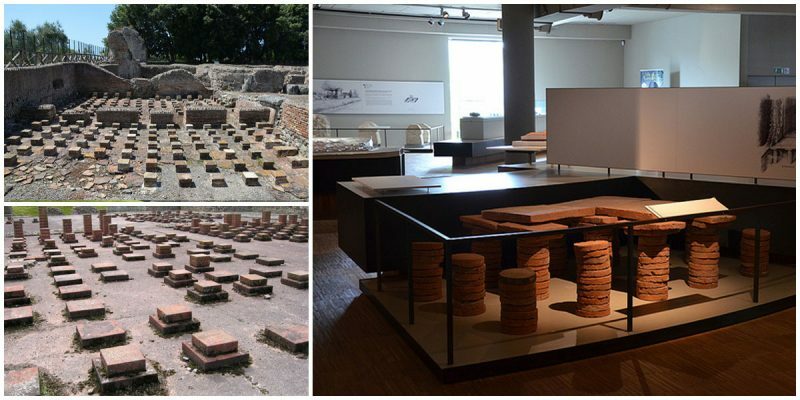 Hypocausts were vital to the ancient Roman system of central heating, and according to some historians, it was the first underfloor heating technology in human history. 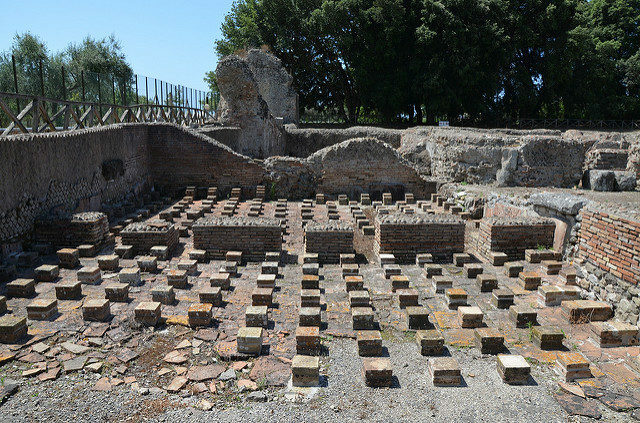 The floor was raised above the ground by pillars, called pilae, made of brick, mortar or concrete, usually about two feet high so that hot air could circulate under it. 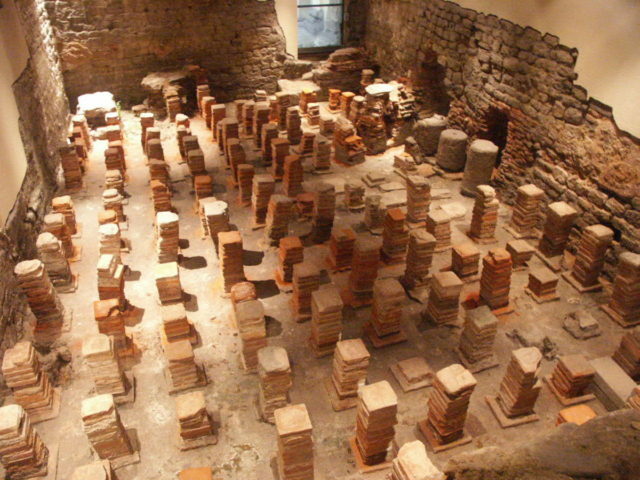 A furnace composed of a continuously burning fire would be built under one corner of the room, so the hot air would circulate under the floor and inside flues built into the walls and warm the room. 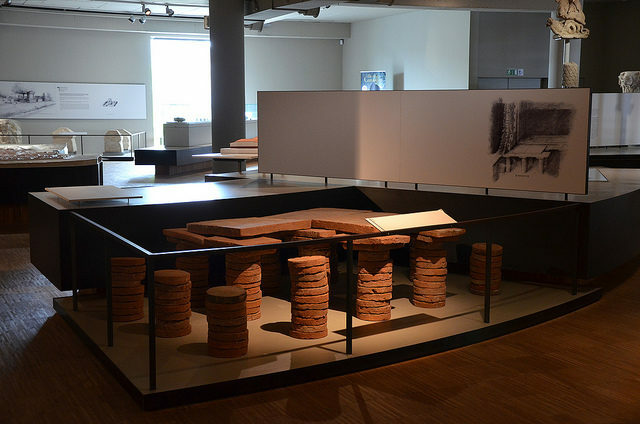 This air can warm the upper floors as well. 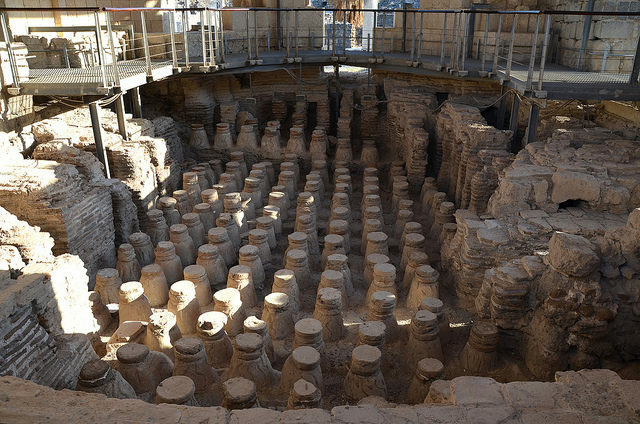 It required slave labor to fuel, monitor, and clean the furnace during the day. 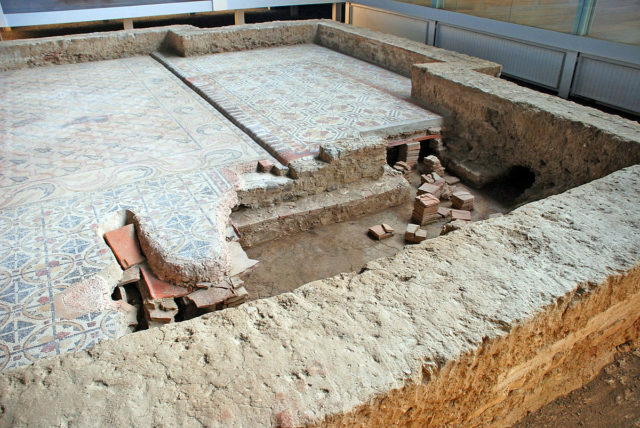 Of course, it was not sophisticated as today’s modern underfloor heating systems but, technologically, it was very advanced in that period. 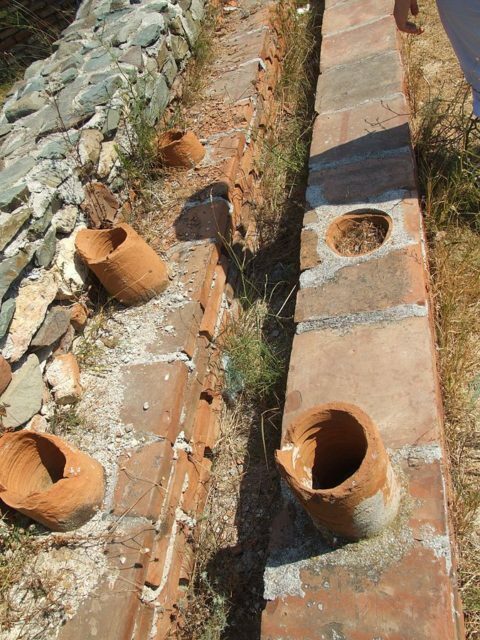 This system was usually used for heating public bath houses and only the wealthier Romans could afford to have such a system in their residences. 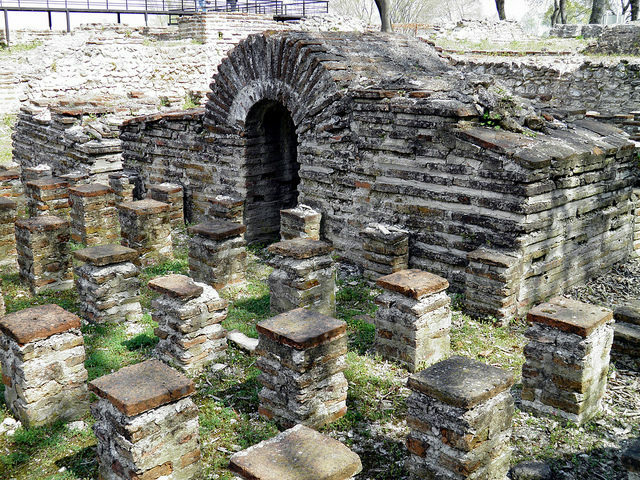 With he decline of the Roman Empire, most public baths fell into disrepair, and the hypocaust was disused. 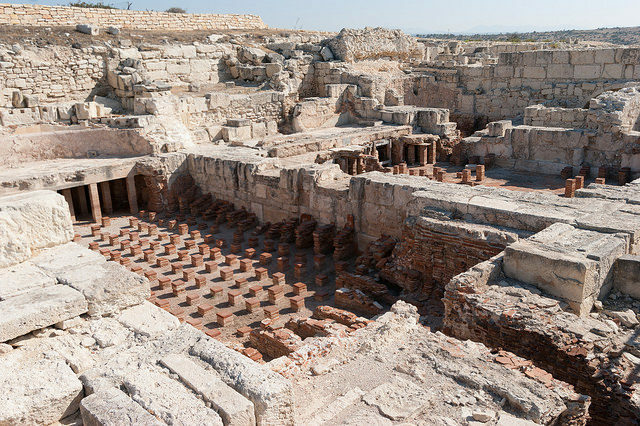 However, the heating system continued to be built and used in the Early Middles Ages and was adopted for the heating of the hammams, an Islamic variant of the Roman baths.